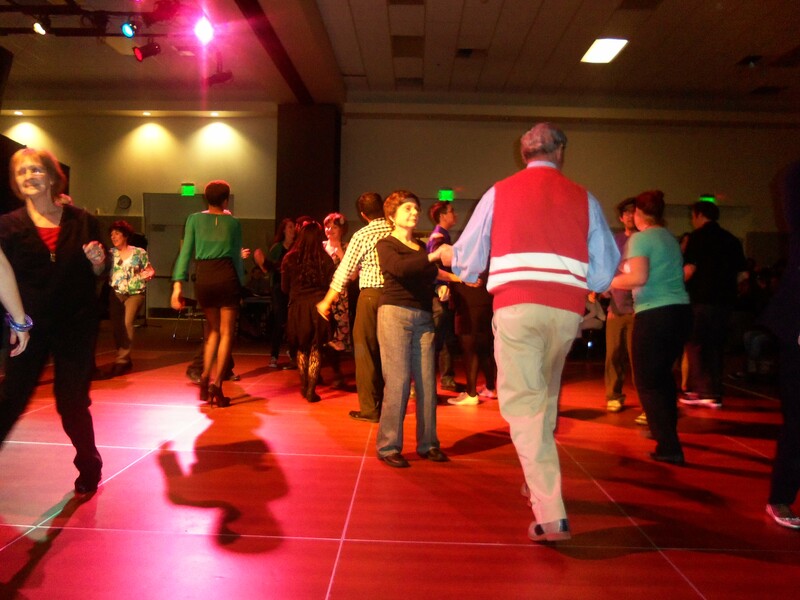 CSUSB’s Music Society (CMS) hosted their first Swing Night on Feb. 28 filled with a night of dance lessons, live jazz and DJ Johnny Boi playing all the hottest hits. 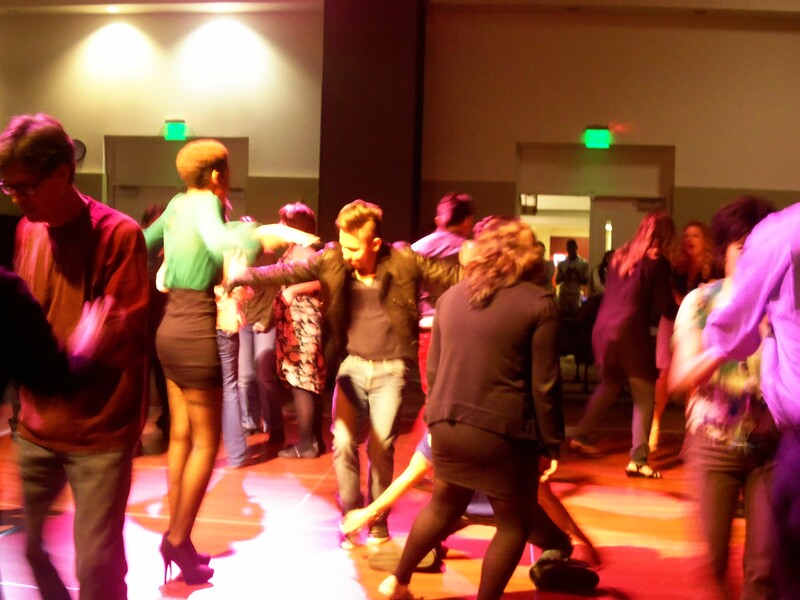 Attendees covered the dance floor, while the band played popular jazz. CSUSB Jazz Ensemble performed in front of a full house. 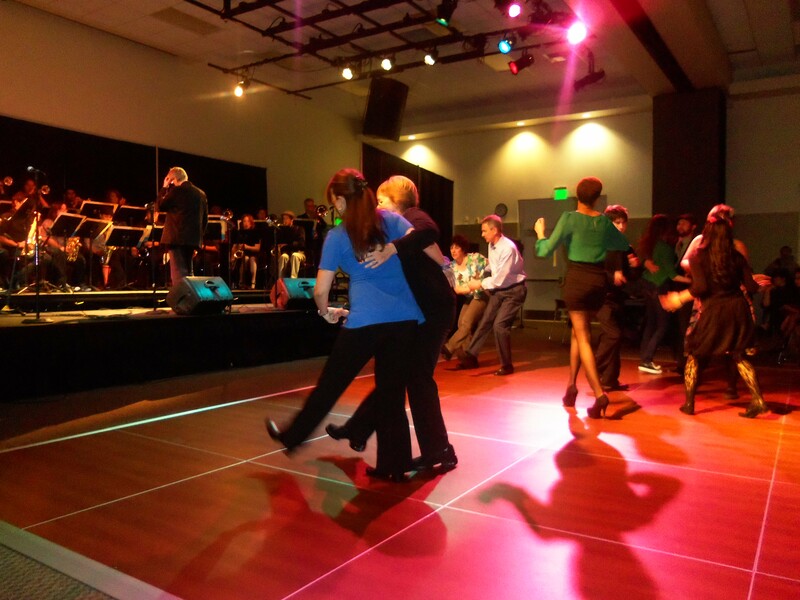 The event mixed different music genres from Swing to Funk music and Soul. 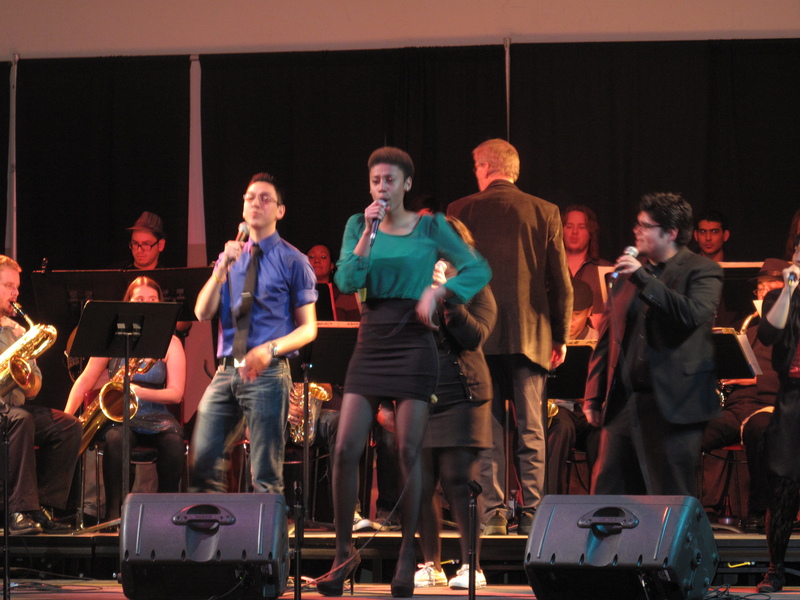 One vocalist, Denise Tillman, took the lead as the band played along to “Respect” by Aretha Franklin. All proceeds from the event are donated to music scholarships to help students further their talents. To raise more money for their cause, CMS sold beverages from water to energy drinks and also had a professional photograph take snapshots of guests who wanted to make the night memorable. 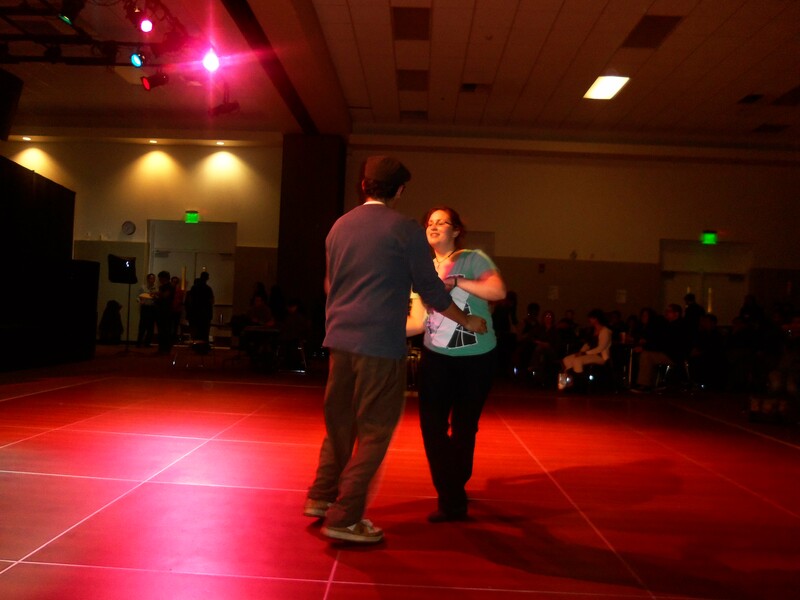 The first song of the night sent two students to the dance floor, showing off their new dance moves and dancing like experts thanks to dance instructor Robin Hernandez. Dancers jitterbugged across the floor, swinging and dancing in a trance. 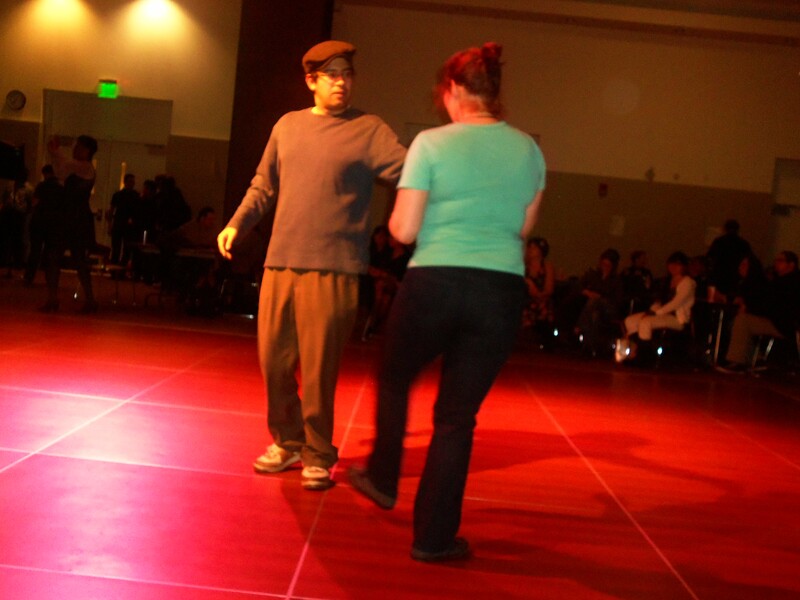 One group swung their legs back and forth moving to the beat of the music and dancing circles around one another. Dancers transitioned to doing the electric slide when Earth, Wind and Fire was played, and then people on the side of the dance floor imitated Michael Jackson moves when disk jockey Johnny Boi mixed Michael Jackson tracks. The show was a total success; it not only benefited those who were granted the scholarship but the audience that funded it as well. It was obvious that the guest enjoyed themselves, from the smiles and cheers of course. 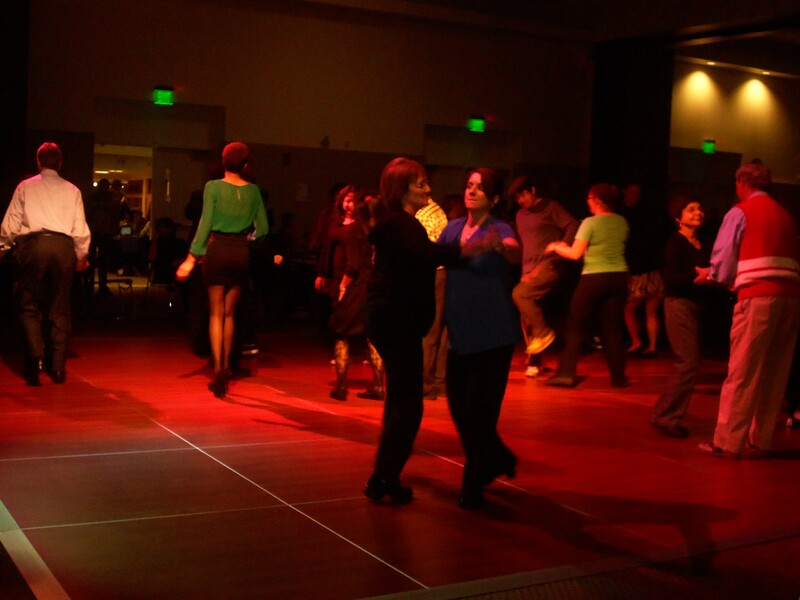 Held in the Santos Manuel Student Union’s event center, filling all the tables and leaving some guest left to stand. The music was loud enough to accommodate everyone that attended and echoed throughout the Student Union. “We prepared for this event for some time, this is what I do so it was enjoyable to throw this event and our Latin Jazz event,” says Tillman. “We have an upcoming Jazz Festival event and our band is always open to new musicians, anyone with a background in music can join; we are open to all majors,” said Tillman. DJ Johnny Boi not only played the hottest Big Band Swing music but surprised the crowd with Michael Jackson, “Earth Wind and Fire” and many more dance jams that kept the dance floor crowded. The CMS’ goal is to put on many more events in the future that will continue to assist in the funding of their scholarships. This time we actually danced the night away and felt proud to have helped our fellow students fund their education and further their talents. Hopefully, this won’t be the last of Swing Night.